Alexander Emmanuel Rodriguez, better known as Alex Rodriguez or simply A-Rod, is an American professional baseball player of Dominican origin. With his massive collection of achievements, he is considered to be one of the greatest baseball players in the history of the Major League Baseball (MLB). It is not surprising, since apart from his impressive game stats, he has been an All-Star 14 times, was nominated with the MVP title three times, received ten Silver Slugger Awards, and two Gold Glove Awards. Few baseball pro’s can boast such recognition, which is why A-Rod always had a very massive following. However, he would not be such a controversial player if he wasn’t involved in steroid use scandals. Interestingly, these scandals served as proof to words spoken by Jose Canseco, when he accused Alex Rodriguez of using performance enhancing drugs (PED). The first steroid scandal came about when confidential information from the 2003 drug survey was unveiled. In this drug survey, 104 MLB players tested positive for PED use, and Alex Rodriguez was one of these athletes. Among other drugs used for doping, he has presumably used such steroids as testosterone and primobolan. These revelations have led him to admit that he had used forbidden substances from 2001 until 2003. Nonetheless, he did so with the claim of using them for injury treatment, which is doubtful. Why? Well, because back in those days no punishment was given for PED use in MLB. Yet, this scandal would leave an irreparable breach on his reputation. 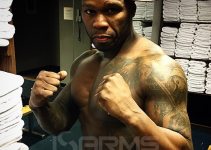 Recently, he was involved in yet another doping scandal, which was a scandal he couldn’t lie his way out of. It took place in 2013, when the “Biogenesis” case was made public. In the process, it was revealed that Alex Rodriguez was provided with human growth hormone (HGH) by Biogenesis of America – an anti-aging clinic in Florida. What’s more, in the official statement it was mentioned that Rodriguez has used numerous forbidden substances, leading us to the conclusion that he did not limit himself to just HGH use. This time around he was suspended from 211 regular season games. In spite of the fact that he was the only MLB player to fight in courts to defend his allegations, the suspension was not lifted. Now lets review the main reasons Alex Rodriguez would use precisely these compounds at these dosages. Testosterone Cypionate: Testosterone is already considered as the classic base steroid for any cycle, since it can greatly improve the effectiveness of the other steroids in the stack. We can see that the dosage is relatively low, but it is more than enough for the purpose of being a base steroid and keeping estrogen levels low. This is an important aspect, as being an athlete, A-Rod should be very concerned with extra water retention that can be caused by high levels of estrogen. Primobolan Depot: Apart from being officially confirmed as a steroid used by Alex Rodriguez, primobolan depot is a very convenient steroid for an athlete, since it is extremely safe in terms of side effects, and provides very lean gains. Therefore, the athlete gets a considerable boost in strength and performance without the burden of excessive muscle mass. On its own, primobolan does not give very prominent results, but when combined with a testosterone base it is indeed very effective. HGH: Baseball players are very prone to suffering joint related injuries, and the tight game schedule barely gives any time for the body to completely recover. As a result, joint and muscle issues can easily arise. HGH can solve both of these problems because it accelerates the recovery times, and improves the healing processes in the body. Consequently, minor injuries heal very fast and don’t become chronic. Equipoise: This steroid is known to be one of the best compounds for pure performance enhancement without the fancy gains in muscle mass. Therefore, it is one of the best steroids an athlete could think of – incredible boost in strength and endurance, with few side effects, and a very lean musculature. When combined with Cardarine GW-501516, Equipoise takes one’s performance to a completely new level. 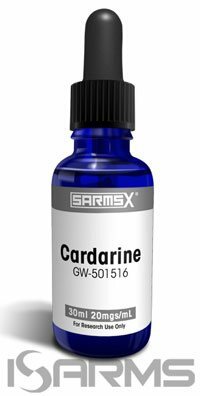 Cardarine GW-501516: This PPAR modulator, most frequently associated with SARMS (selective androgen receptor modulator), improves the cycle effectiveness by enhancing cardio performance, endurance, and recovery. Additionally, it will burn fat and add a little bit of lean mass without any side effects whatsoever. 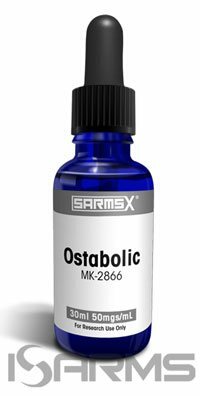 Ostarine MK-2866: This SARM has been scientifically proven to be extremely effective at keeping bones, joints and muscles healthy. Moreover, in certain studies it has been shown that it can drastically reduce the recovery times after injuries and bone fractures. Given the immense injury risk professional baseball players have, it is an essential part of an athlete’s stack. Besides, it gives no side effects, so it is a win-win compound to use. Aromasin: It is the best aromatase inhibitor (AI) available . Since it is a suicide AI, there is no danger of getting an estrogen rebound once the compound is discontinued. Besides, unlike the popular Arimidex, which can cause lipid strain, aromasin actually improves cholesterol levels. Usually the bodybuilders use this drug every other day. However, an athlete relying on his performance should be very concerned with estrogen related side effects, and needs to avoid water retention at all costs. Hence the relatively high dosage of aromasin used by A-Rod. N2Guard: It is a well known fact that just like any medications, steroids can stress the liver and other major organs. Therefore, a good liver supporting supplement is needed, and N2Guard is one of the best in its class. It will not only cleanse the liver, but it will support other major organs, reduce the levels of bad cholesterol, and will prevent water retention. N2Joint RX: Any athlete under the risk of suffering joint related injuries needs to use joint supporting supplements, such as N2Joint RX. Interestingly, this supplement works very well in synergy with Ostarine MK-2866, making this stack the ultimate solution to any joint related issues. *DISCLAIMER: The article is for information and entertainment purposes only.